What is new about the new HTC smartphone released in 2017? What are its specifications? Did it bring any new technologies to the users? Learn about the new HTC smartphones. Chinese smartphone manufacturers are still trying to produce high specification phones to compete against the two top smartphone companies: American Apple and South Korean Samsung. 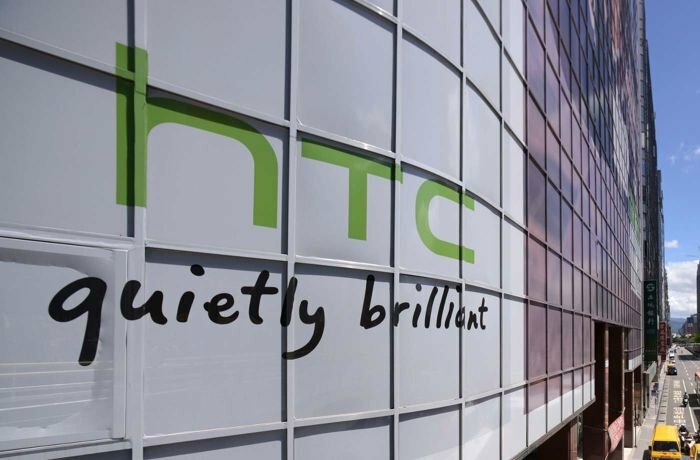 From these Chinese companies is HTC, which is considered one of the smartphone pioneer manufacturers with a huge fan-base. 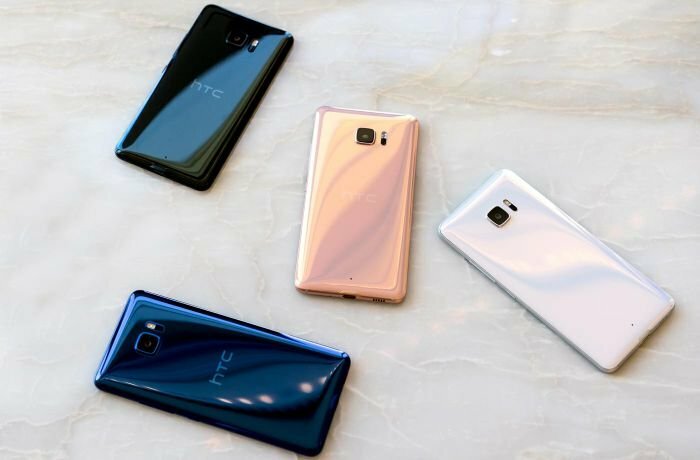 The latest smartphones announced by HTC are HTC U Ultra and HTC U Play in February 2017 which belongs to average specification smartphones. Before listing the specification of both phones, we must point that HTC U Ultra has dual front screens; the front side has two screens for ease of access and use of applications. The first (smaller) screen is on top (it looks like a rectangular strip) parallel to the front cameras, and the second screen is below it (similar to other smartphones). This might be the first time an average specification phone is released with dual screens to the market. The new HTC phones also have a glossy layer covering the back. Below are there specifications. The HTC U Ultra has curved edges, and as we mentioned above, a glossy back. It has a length of 162.4 millimeters (16 centimeters), a width of 79.8 millimeters (7.98 centimeters), and a thickness of 8 millimeters (less than 1 centimeter), with a total weight of 170 grams. 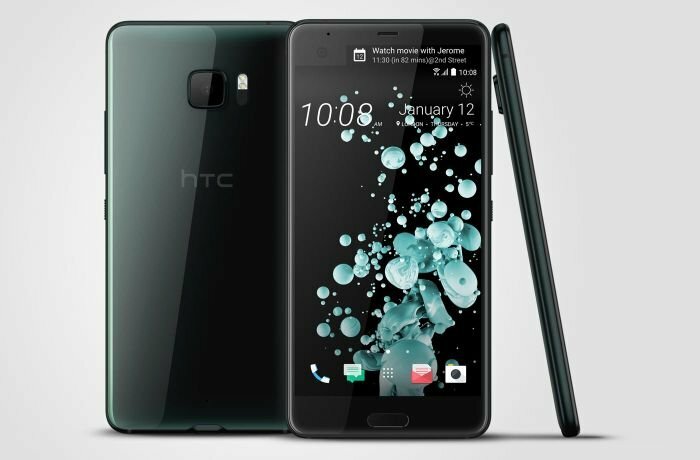 HTC U Ultra has a 5.7-inch Super LCD5 touchscreen with a resolution of 1440x2560 pixels. The screen supports 16 million colors and it covers 69.7% of the phone’s front side. It is powered by Android 7.0 operating system (also known as Nougat), and operates on a quad-core Qualcomm Snapdragon 821 processor and Adreno 530 graphic processor. 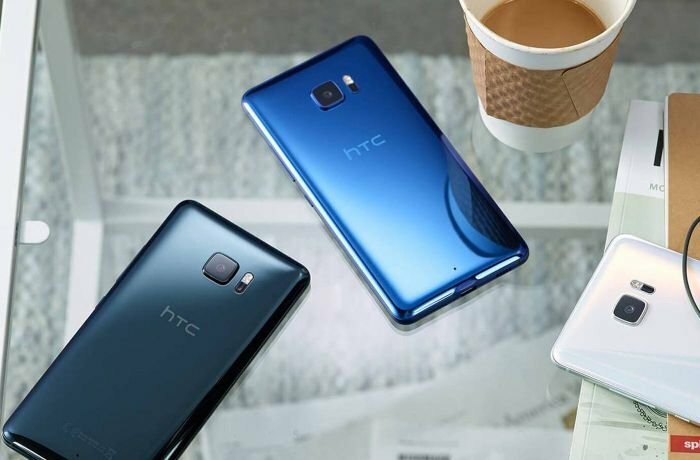 HTC U Ultra supports dual SIM Cards. 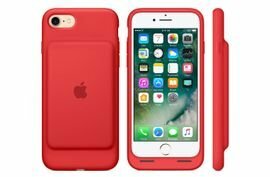 It is available in two versions, the first has an internal storage of 64 gigabytes and the second has an internal storage of 128 gigabytes. Both versions have 4 gigabytes RAM. It can also support an additional 256 gigabytes Micro SD Card that can be inserted in the second SIM tray. It has a rear (main) camera with a resolution of 12 megapixels and an f/1.8 lens aperture. It has features that include: auto-focus, dual LED flash, and facial recognition. HTC also equipped HTC U Ultra with a front (selfie) camera with a resolution of 16 megapixels. It is powered by a non-removable 3000 mAh lithium ion battery. The battery can power the phone when on talking mode and 3G for 26 hours. HTC U Ultra supports Bluetooth, WiFi, and fast charging. The home screen button is located on the front side of the phone and the fingerprint recognition sensor is linked to it. It will be available to the market in the following colors: black, pink, white, and blue. HTC U Play is similar to HTC U Ultra but it is smaller with a higher front camera resolution, and smaller battery capacity. HTC U Play has a length of 146 millimeters (14.5 centimeters), a width of 72.9 millimeters (about 7 centimeters), and a thickness of 8 millimeters (less than 1 centimeter), and with a total weight of 145 grams. HTC U Play can support dual SIM Cards, and it has a 5.2-inch Super LCD touchscreen covering an area of 68.7% of the phone’s front side with a resolution of 1080x1920 pixels. It is powered by Android 6.0 operating system (also known as Marshmallow). HTC U Play operates on an octa-core MediaTek Helio P10 processor and Mali-T850MP2 graphic processor. It will also be available in two versions when it comes to its internal storage: the first has an internal storage of 32 gigabytes and 3 gigabytes RAM, while the second has an internal storage of 64 gigabytes with 4 gigabytes RAM. 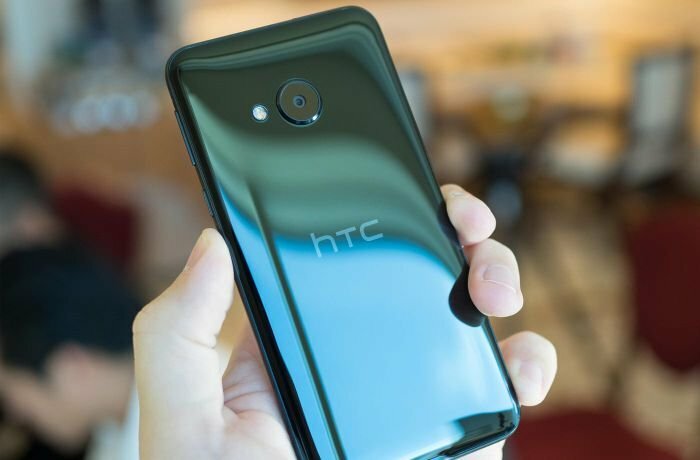 HTC U Play has a back camera with a resolution of 16 megapixels and an f/2.0 lens aperture, and the front camera has a resolution of 16 megapixels and an f/2.0 lens aperture as well. It is powered by a 2500 mAh battery. The home screen button also has the fingerprint recognition button and is located in the front screen of the phone. 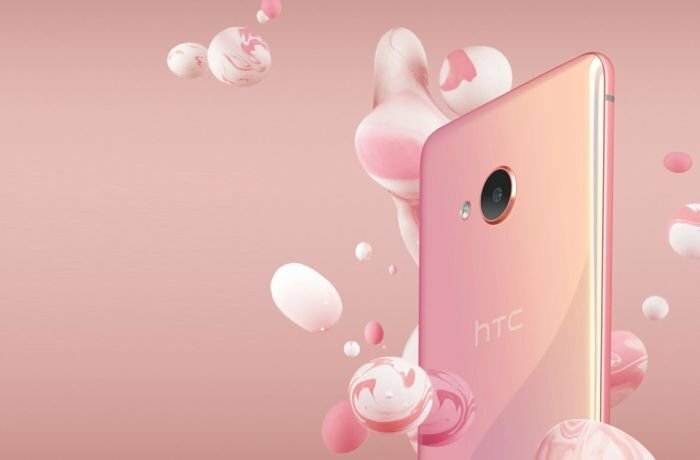 It will be available in the same colors as HTC U Ultra: black, pink, white, and blue. All the other specifications and features in HTC U Play is similar to that of HTC U Ultra. What differentiate HTC U Ultra from HTC U Play is the dual screens in the front side. The first (smaller one) screen is on the upper side of the phone’s front – like a strip parallel to the front cameras – and the second screen is directly below it, just like other smartphones. HTC U Ultra and HTC U Play both have a glossy back cover that is not available in other smartphone designs. It also has 16 megapixels resolution for the front camera for exceptional selfie images. Do not forget to read user reviews and criticism before making a purchase. Also go to stores and examine the phone so that you can make a wise and smart purchase decision.